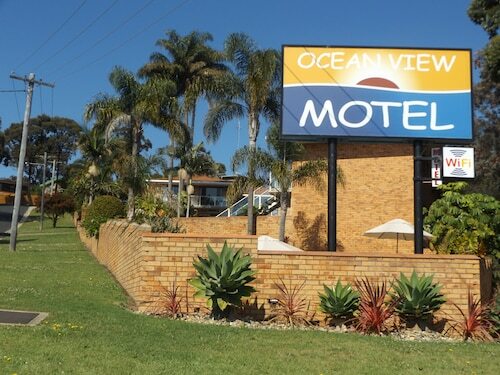 Situated in Merimbula, this beach motel is within 1 mi (2 km) of Merimbula Marina and Merimbula Imlay Historical Society. Main Beach Recreation Reserve and Magic Mountain Recreational Park are also within 3 mi (5 km). Located in the heart of Merimbula, this golf motel is within a 15-minute walk of Merimbula Marina and Merimbula Imlay Historical Society. Main Beach Recreation Reserve and Magic Mountain Recreational Park are also within 2 mi (3 km). Situated in Merimbula, this motel is within a 15-minute walk of Merimbula Marina and Merimbula Imlay Historical Society. Main Beach Recreation Reserve and Magic Mountain Recreational Park are also within 2 mi (3 km). 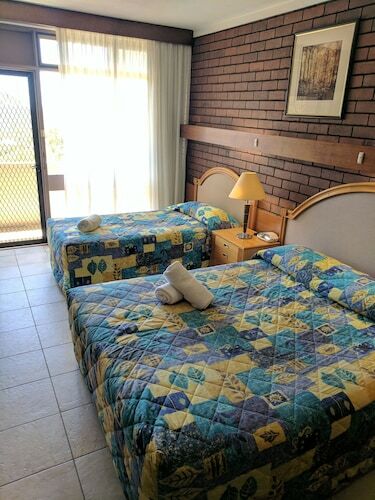 Situated near the airport, this motel is 0.2 mi (0.3 km) from Main Beach Recreation Reserve and 2.4 mi (3.9 km) from Pambula Beach. Merimbula Marina and Merimbula Imlay Historical Society are also within 1 mi (2 km). 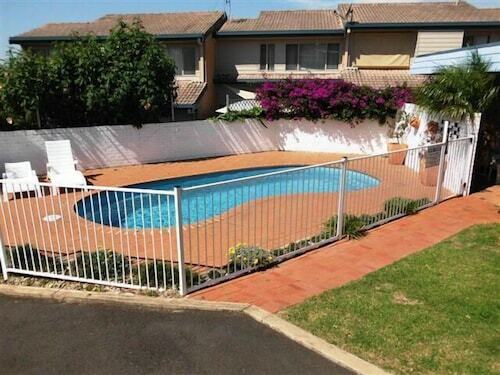 Situated in Merimbula, this motel is within 1 mi (2 km) of Merimbula Marina and Merimbula Imlay Historical Society. Main Beach Recreation Reserve and Magic Mountain Recreational Park are also within 2 mi (3 km). 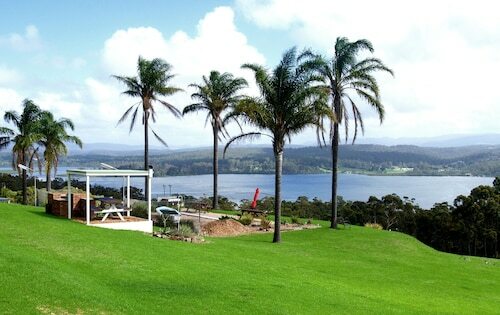 Located in the heart of Merimbula, this campground is within 1 mi (2 km) of Merimbula Imlay Historical Society, Merimbula Marina, and Magic Mountain Recreational Park. Main Beach Recreation Reserve and Short Point Recreation Reserve are also within 2 mi (3 km). Located in the heart of Merimbula, this motel is within a 10-minute walk of Merimbula Marina and Merimbula Imlay Historical Society. Main Beach Recreation Reserve and Magic Mountain Recreational Park are also within 2 mi (3 km). 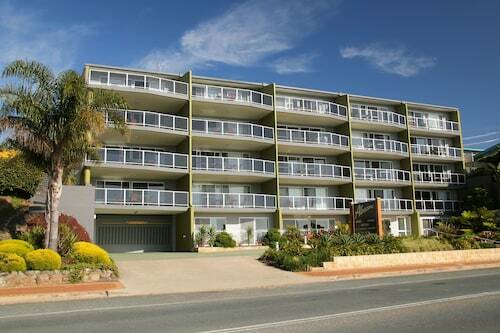 Situated near the beach, this luxury apartment building is 0.1 mi (0.2 km) from Merimbula Marina and 2.8 mi (4.5 km) from Pambula Beach. Main Beach Recreation Reserve and Merimbula Imlay Historical Society are also within 15 minutes. Situated near the beach, this apartment building is 0.1 mi (0.1 km) from Main Beach Recreation Reserve and 2.3 mi (3.8 km) from Pambula Beach. Merimbula Marina and Merimbula Imlay Historical Society are also within 1 mi (2 km). 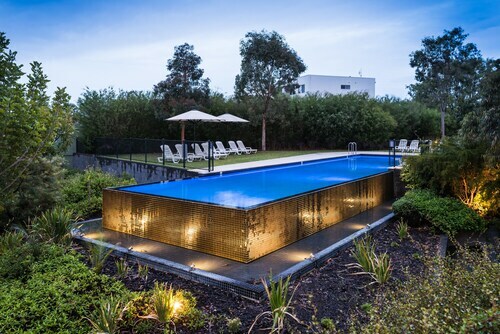 Situated near the airport, this luxury apartment building is 0.1 mi (0.1 km) from Main Beach Recreation Reserve and 2.6 mi (4.1 km) from Pambula Beach. Merimbula Marina and Merimbula Imlay Historical Society are also within 1 mi (2 km). 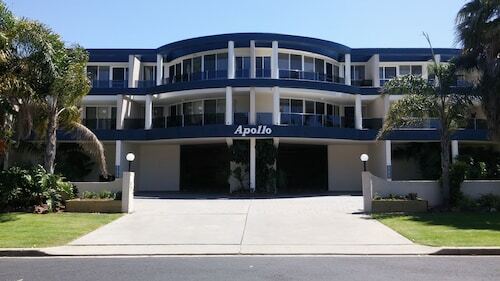 Situated in Merimbula, this luxury apartment building is 0.1 mi (0.2 km) from Main Beach Recreation Reserve and 2.6 mi (4.2 km) from Pambula Beach. Merimbula Marina and Merimbula Imlay Historical Society are also within 1 mi (2 km). Merimbula is located on the Sapphire Coast and is a popular holiday destination with a range of coastal activities and an array of restaurants and cafes boasting fresh local produce and world class cuisines. 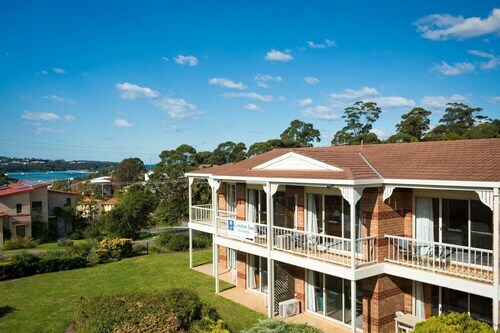 Our Merimbula hotels will provide you with the range of accommodation choices for your next holiday. See a selection of Pambula Beach accommodation or nearby Tura Beach accommodation for a beachside escape. Merimbula is on the South Coast (NSW) which has many white sandy beaches, lakes and tropical rainforests. Be sure your visit Wallagoot Lake in the Bournda National park and go exploring across the many walking trails, beaches and lagoons. The Kangarutha Track (9km) is a popular walk from Kianinny Bay to Turingal Head. Merimbula is around seven hours drive from Sydney and Melbourne making it a great option for your next coastal getaway. 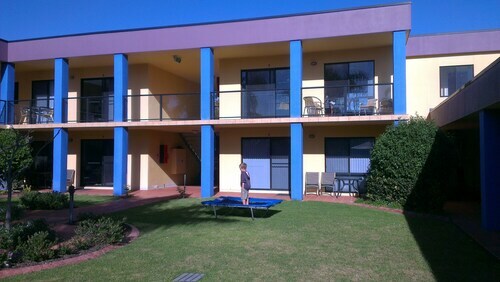 How Much is a Hotel Room in Merimbula? 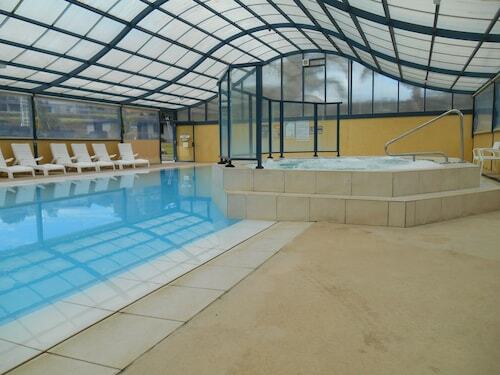 Hotels in Merimbula start at AU$75 per night. Prices and availability subject to change. Additional terms may apply. Helpful and friendly check in. Great location. Spacious room.